Citracal is a brand name for the supplement calcium citrate. It may be taken by children or adults for several conditions. It may be taken to help treat low calcium levels or high phosphate levels. It may be used as an antacid if a person has acid reflux, which is also known as heartburn. Finally, Citracal may be used to help prevent or treat osteoporosis, which is a condition in which a person's bone density decreases, making the bone more fragile and prone to fractures. Citracal use may be associated with several side effects. A person taking Citracal may feel constipated, or may experience nausea with vomiting. She may have a decreased appetite, or no appetite at all due to the slight elevation in calcium levels. Abdominal pain may also occur as a result of taking Citracal. 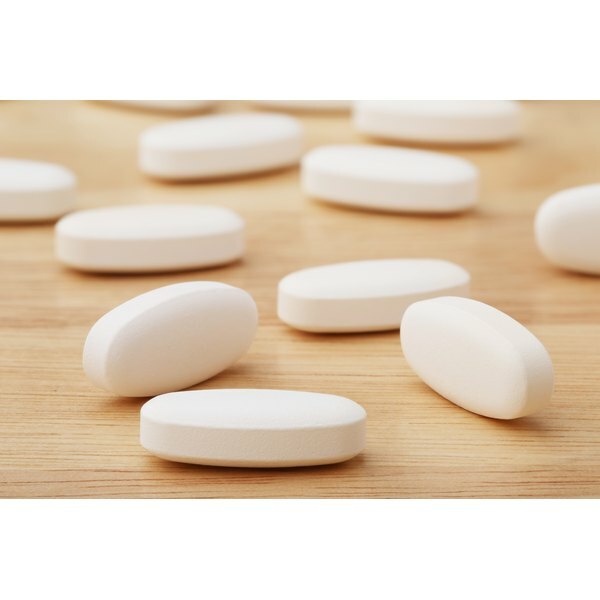 According to the medical database UpToDate, these side effects may occur simply as a direct effect of the supplement or as a result of a mild increase in calcium levels in the blood. This is called hypercalcemia and may also result in constipation, lack of appetite, nausea, or vomiting. A person taking Citracal may experience headaches as a side effect of taking this supplement. In addition, if a patient is constantly taking excessive amounts of Citracal, she may be found to have severe hypercalcemia, which itself results in a variety of effects on the central nervous system. Confusion is a relatively mild neurological side effect, but the impact on the nervous system can become much more serious, including delirium--disorientation associated with delusions and hallucinations--and even coma. Because Citracal helps to lower levels of phosphate in the body, a person taking this supplement may end up with abnormally low levels of phosphate in her blood. In addition, she may feel more thirsty than usual. According to the pharmacology database MicroMedex, there have been rare reports of feeling strange tingling sensations after taking Citracal. Finally, the hypercalcemia that sometimes develops in Citracal users may result in the deposition of calcium in the cornea and conjunctiva of the eye. Shira Goldenholz has been writing since 2001. She has edited a neurosciences coursebook and co-authored an article published in the "Journal of Child Neurology." She has contributed to a report on children's mental health and has written for an autism website. She holds a medical degree from the University of Wisconsin-Madison and a Master in Public Health from Boston University.